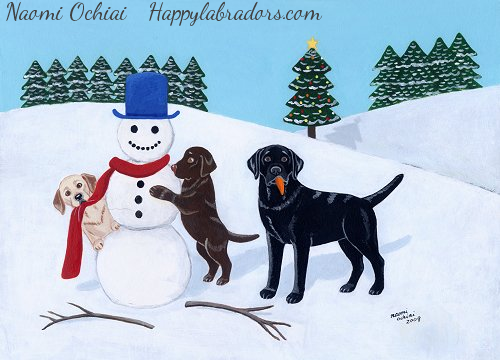 Unique and funny Christmas Labrador Retriever Artwork painted in 2008. Three Labrador Friends are playing with their snowman in the winter snow field! Art Prints and Products with this design are available.